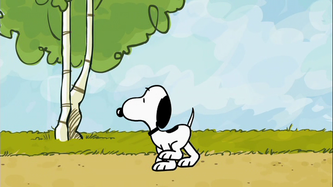 PMC4 - Snoopy And The Gang! 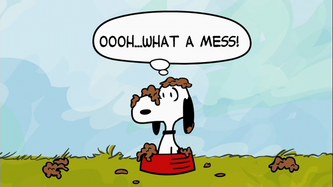 organized like that. 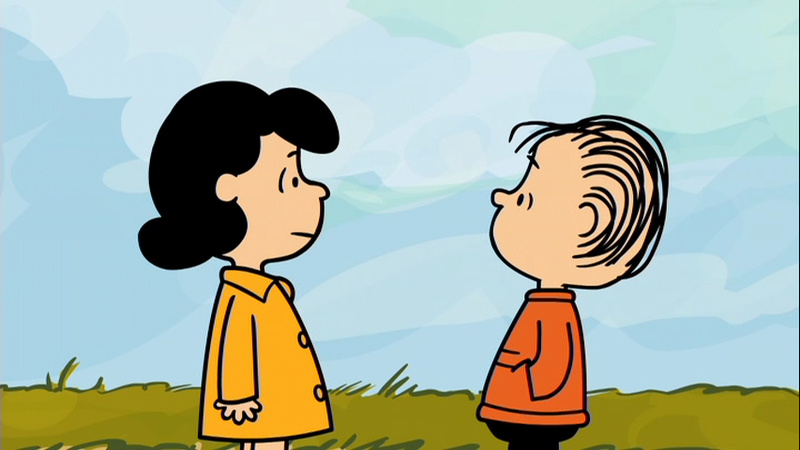 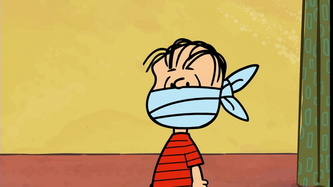 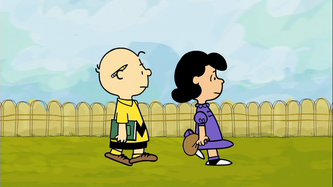 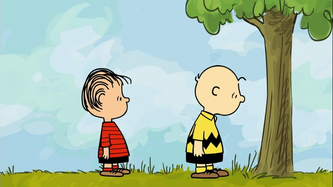 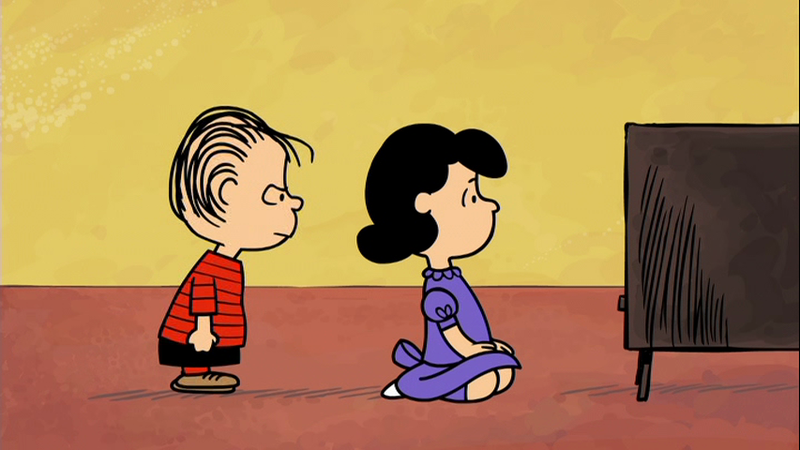 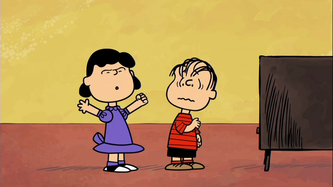 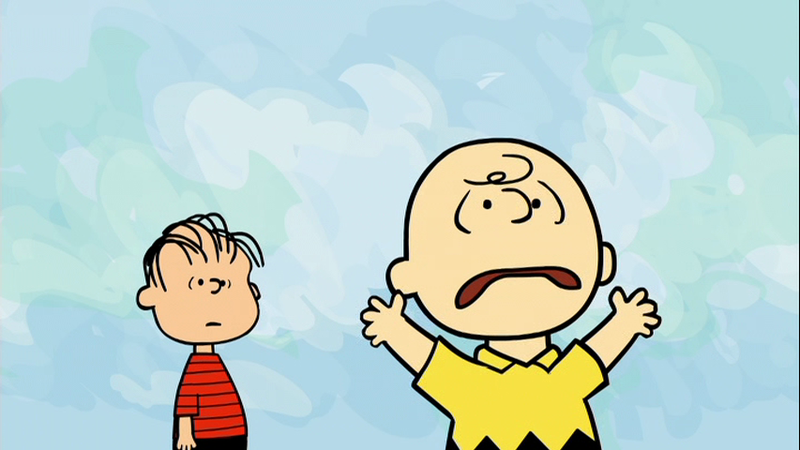 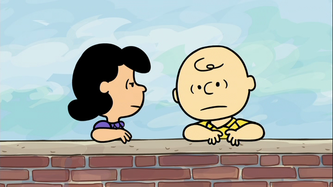 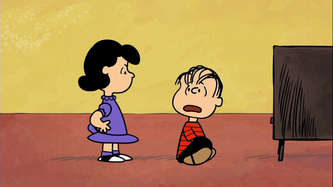 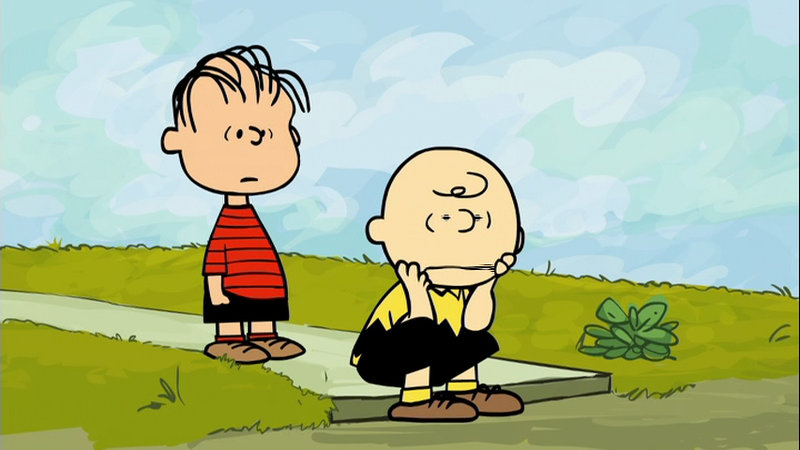 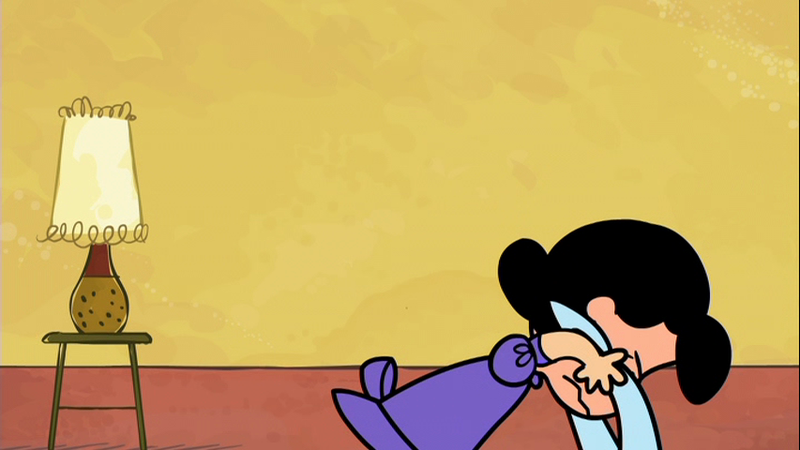 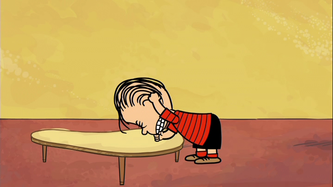 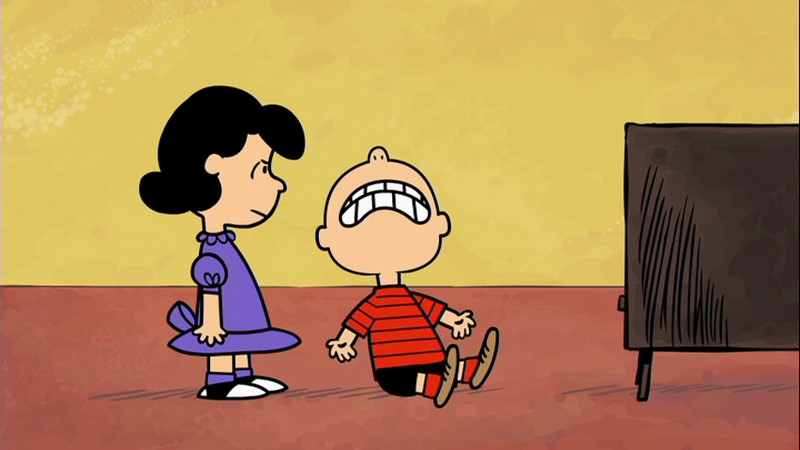 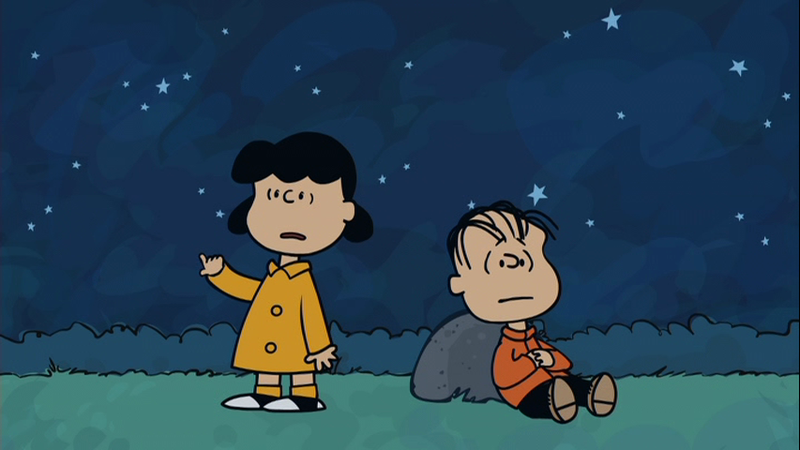 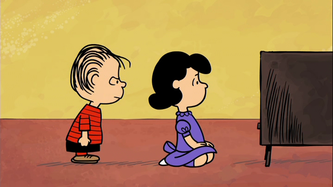 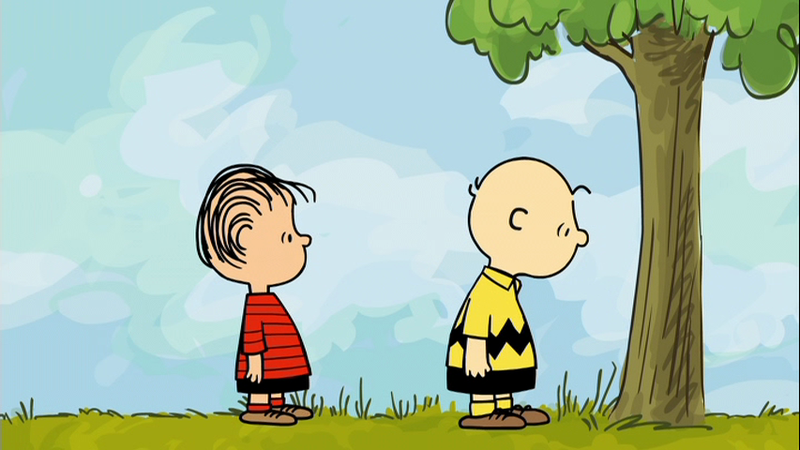 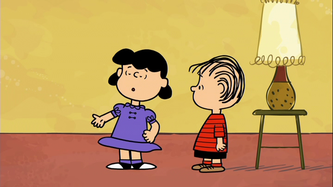 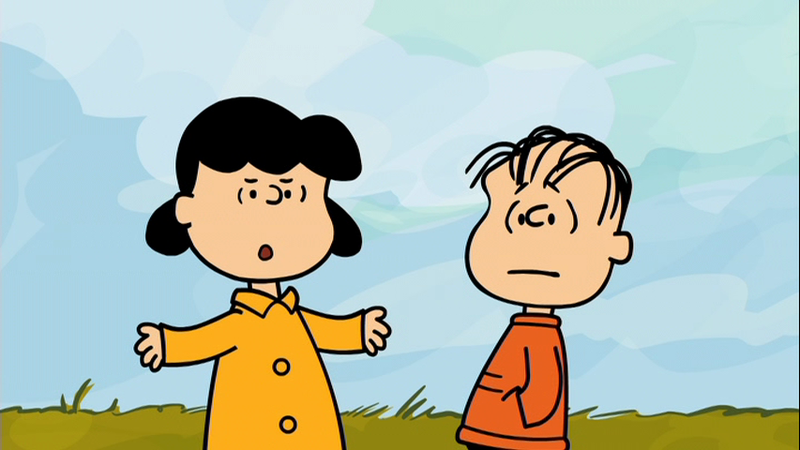 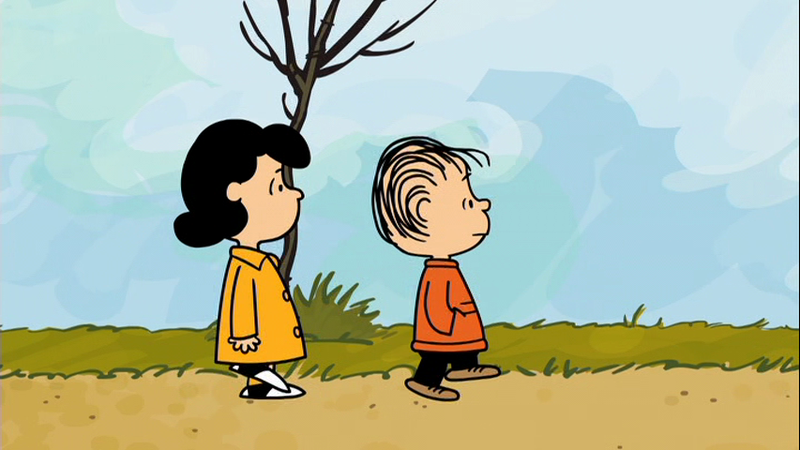 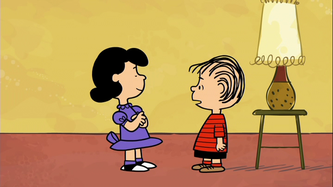 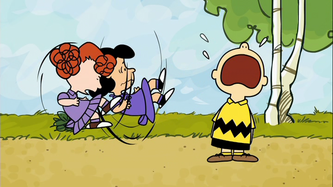 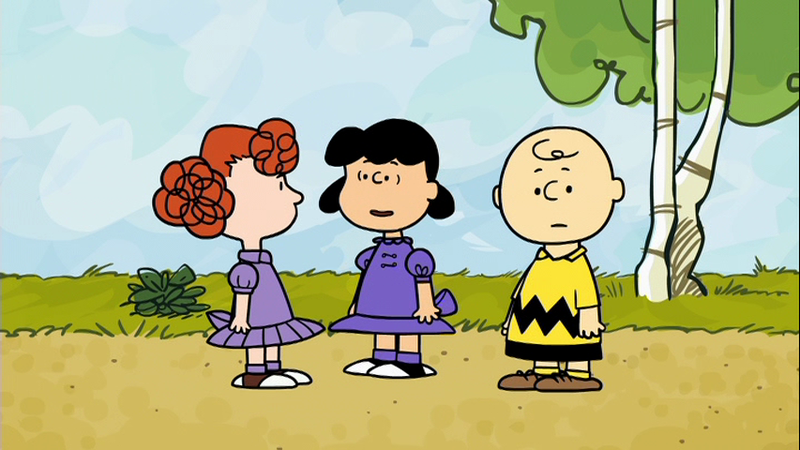 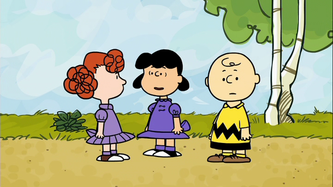 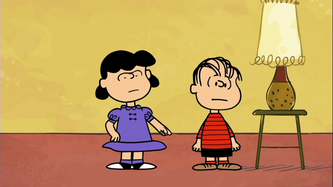 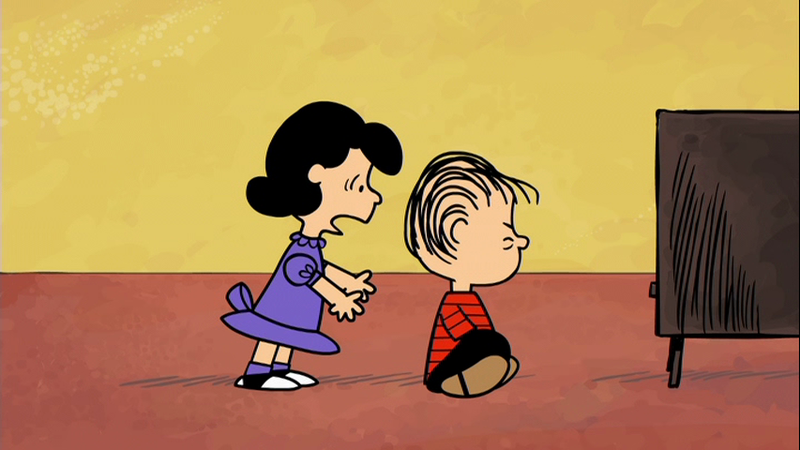 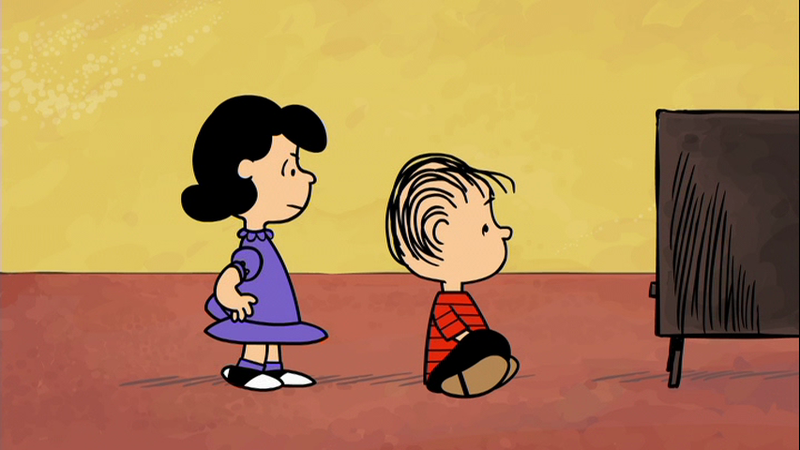 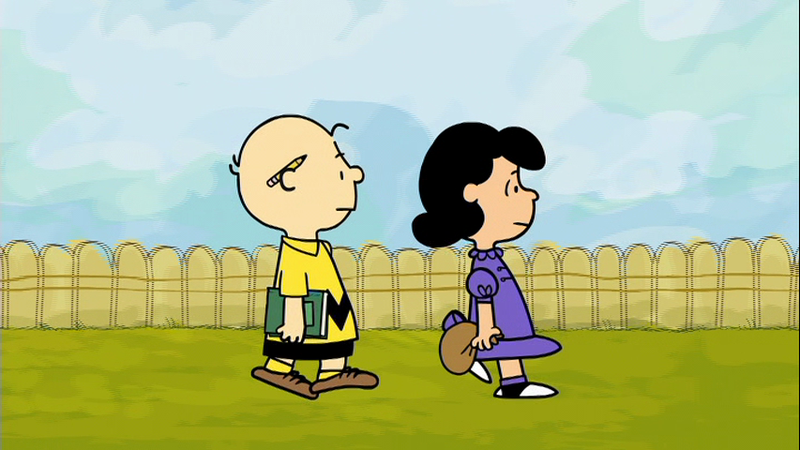 Next, Lucy tells Linus that he's not a good brother because he doesn't work at it. 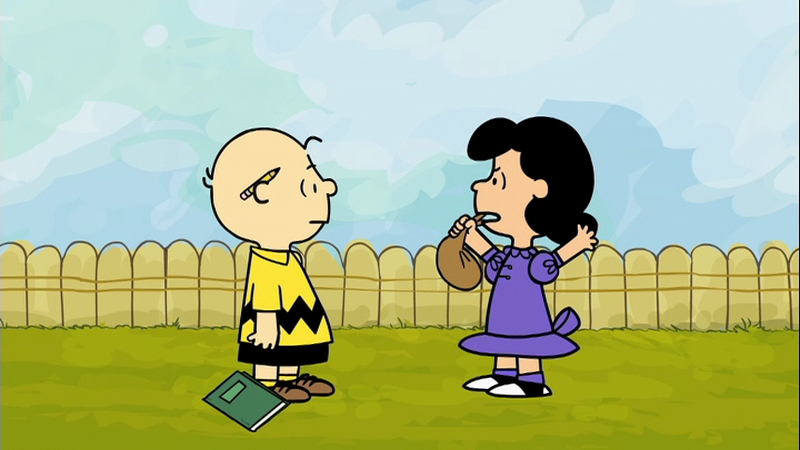 He asks Lucy where the practice tee is. 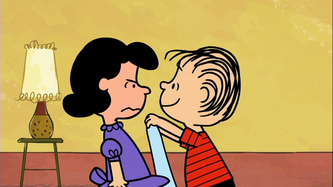 Then, she tells him that she gets nauseated at the sight of him with that blanket. 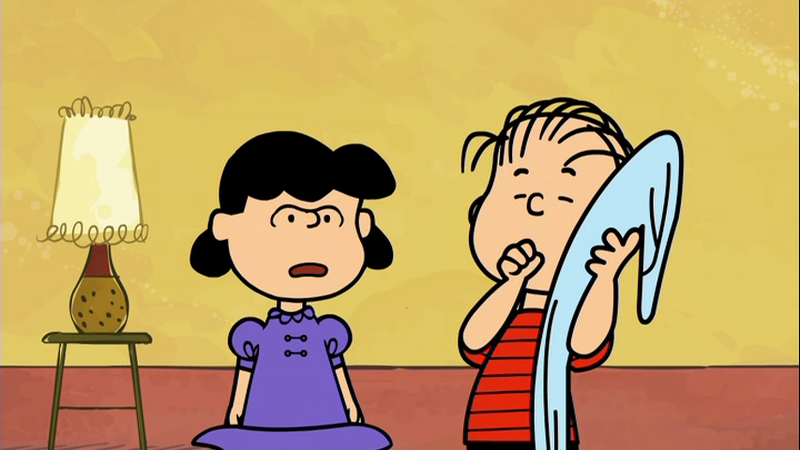 Linus asks her why doesn't she take a pill from sight of little brother touching blanket? 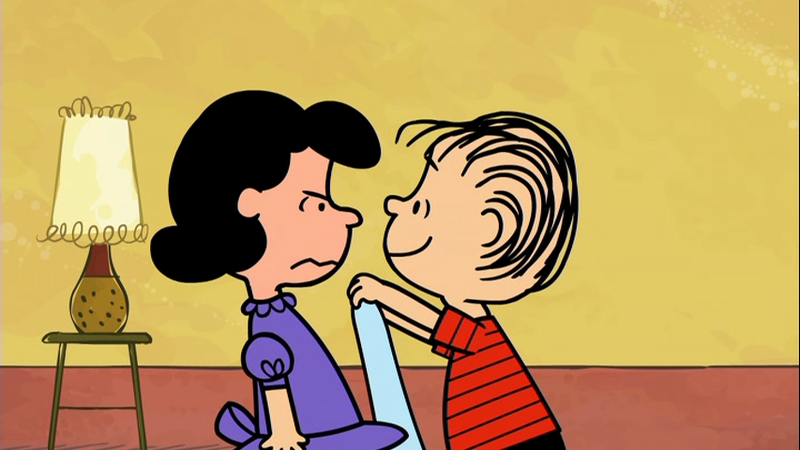 She ties him up with his blanket after that. 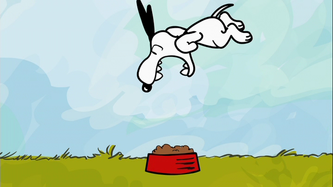 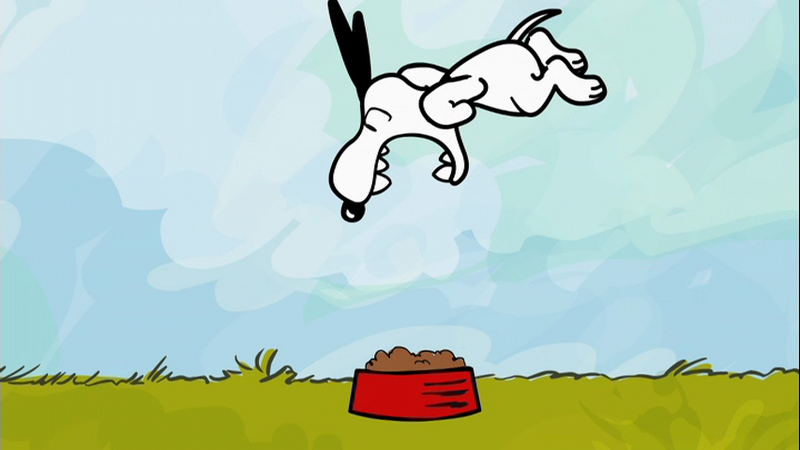 Snoopy pushes his dish through the mail slot. Charlie Brown says that someone's getting hungry. 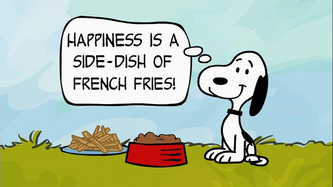 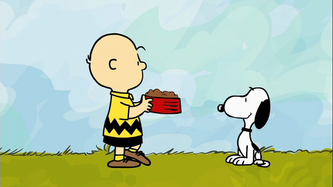 Charlie Brown then brings him his dinner, and some fries. 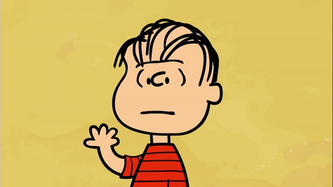 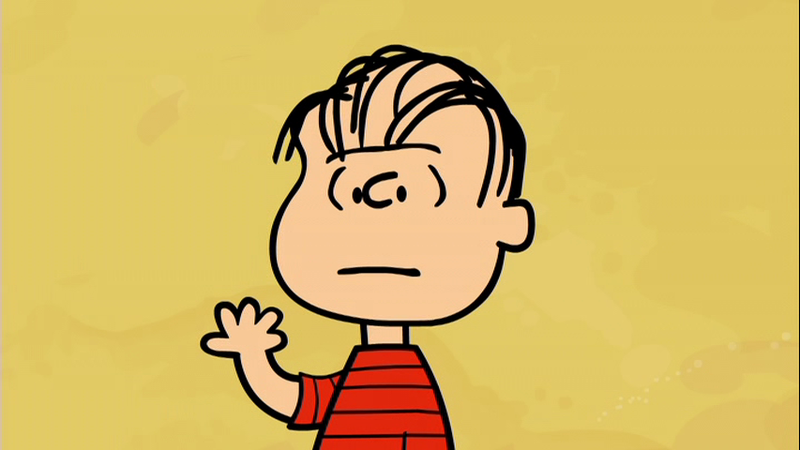 Linus says he'll be a good brother if Lucy explains to him what a good brother should be like. 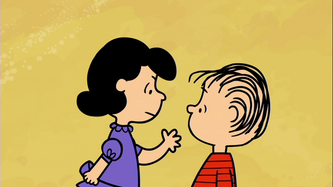 She explains that a good brother should be kind and considerate, and that the welfare of his sister should be his utmost concern. 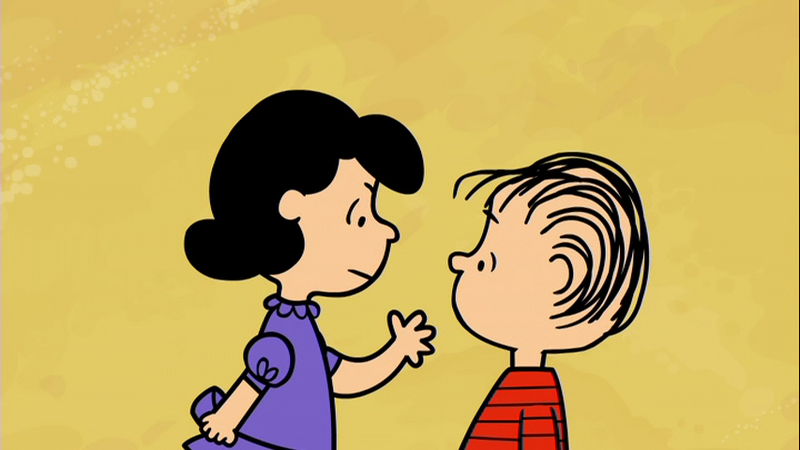 She spends a long time describing qualities. 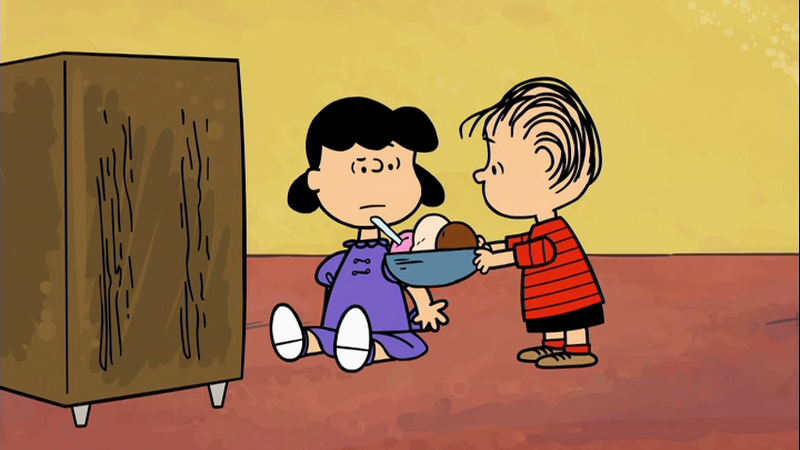 The next day, he brings her a bowl of ice cream. 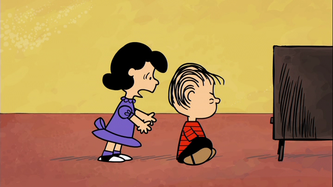 He says he brought it to her to make her stay on Earth more pleasant. 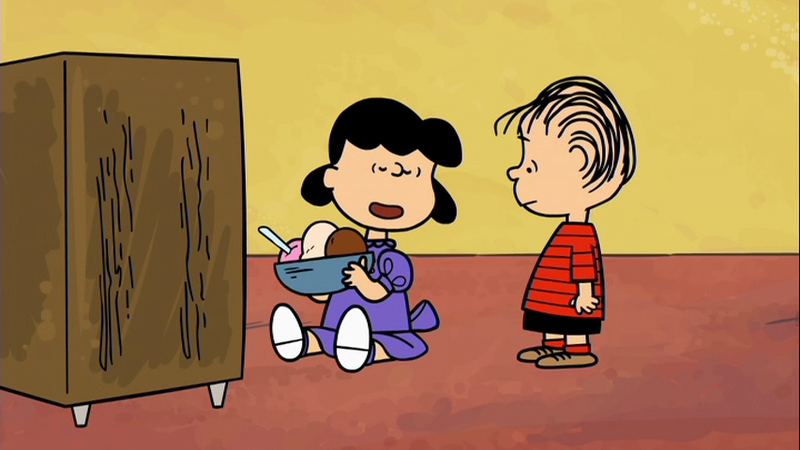 She calls him a good brother, and it makes him happy. Then she asks him to move so she can watch TV again. 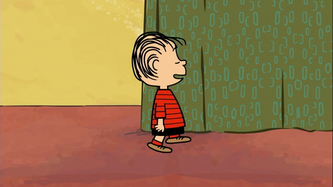 Linus runs off, frustrated, and throws a tantrum. 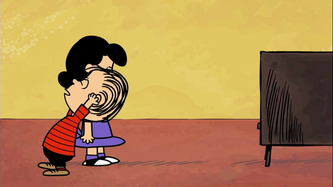 He tells her that he hopes her program gets a lousy rating. 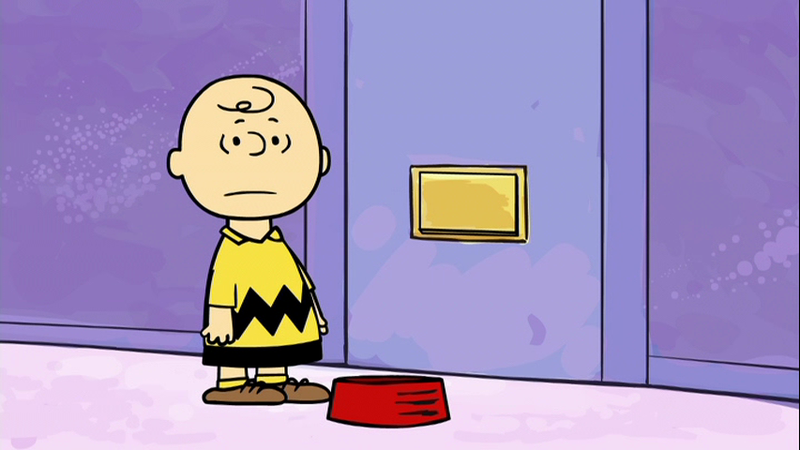 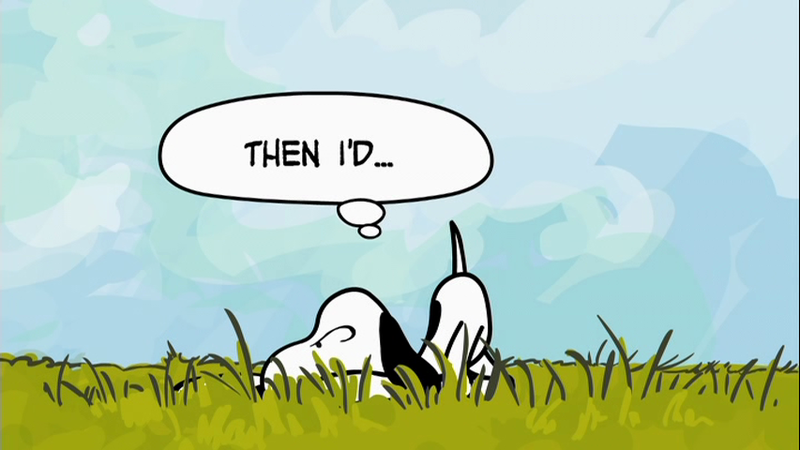 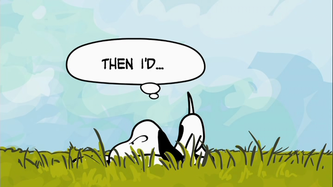 Charlie Brown asks if Snoopy is too tired to get up and eat. 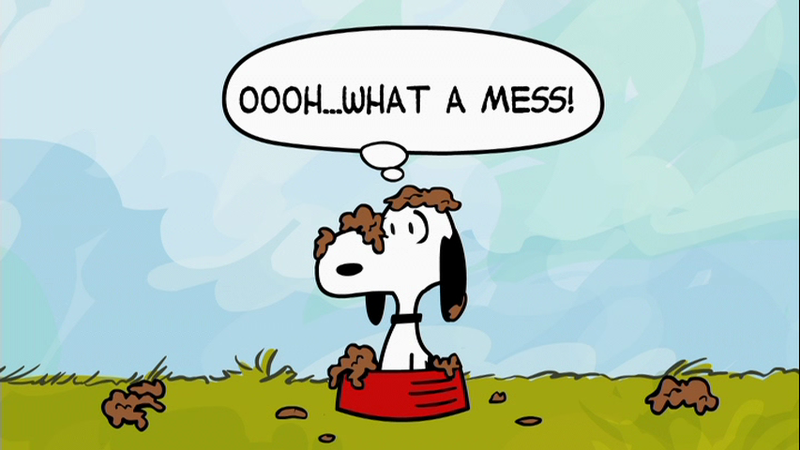 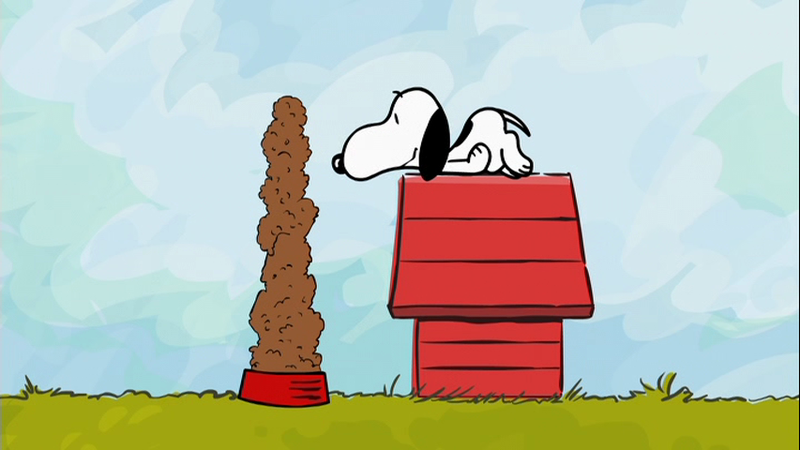 He then says he can fix it so Snoopy doesn't have to. 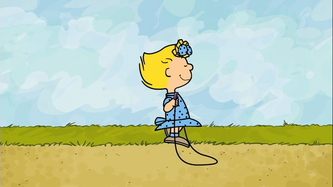 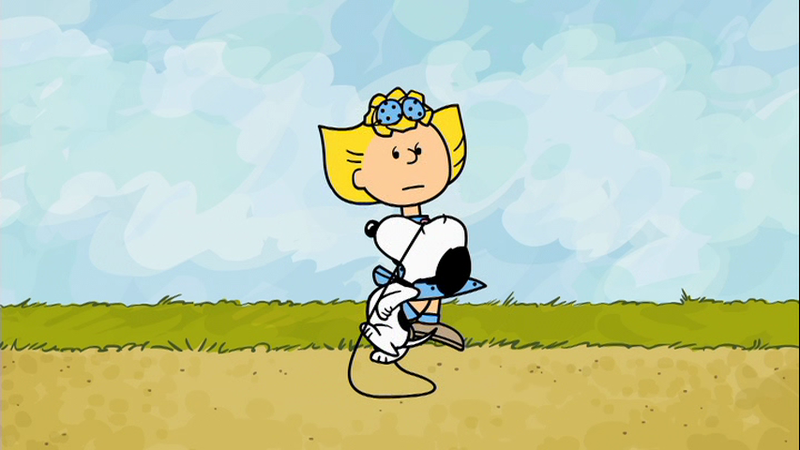 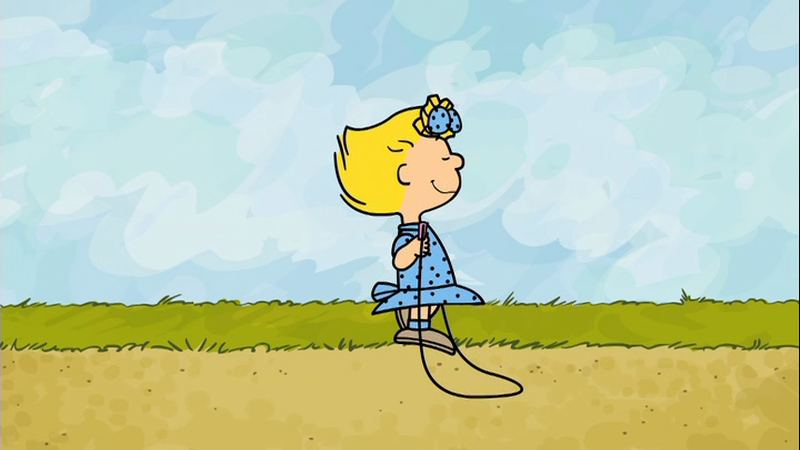 Later, Snoopy joins in with Sally for a game of jump rope. 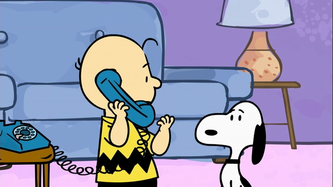 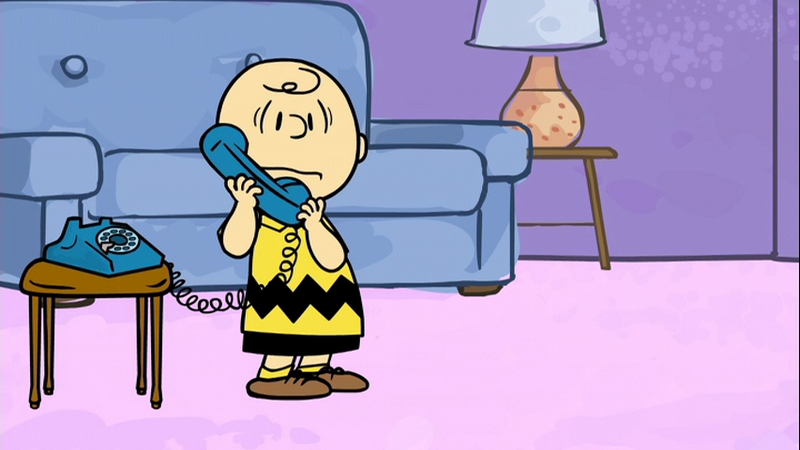 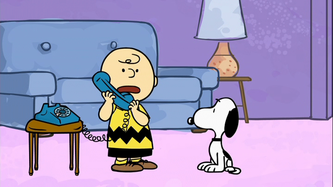 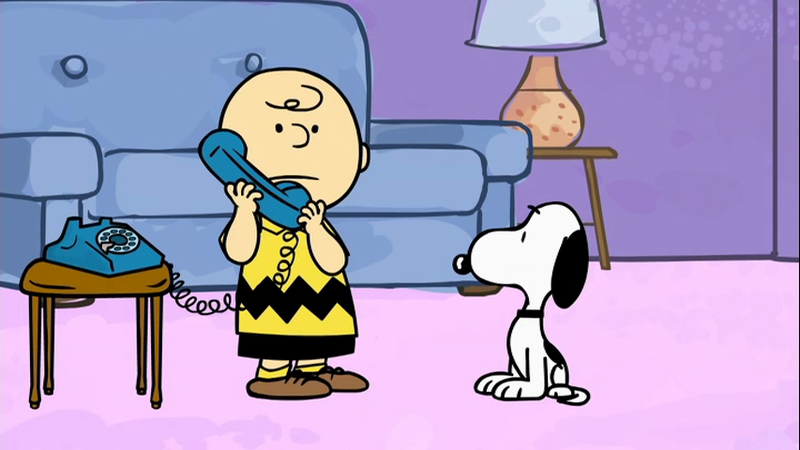 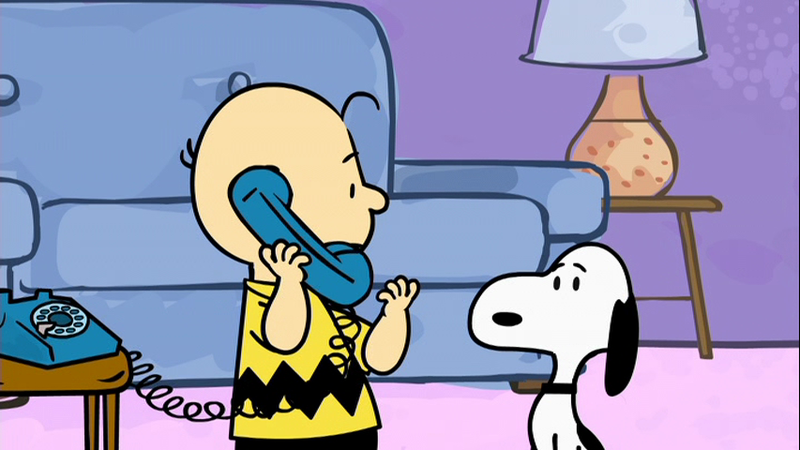 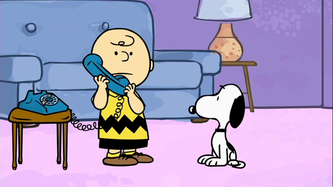 Next, Charlie Brown is on the phone with the doctor. 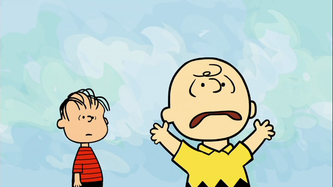 He says that his Little Leaguer's Elbow (see "The Sore Arm") is all better. 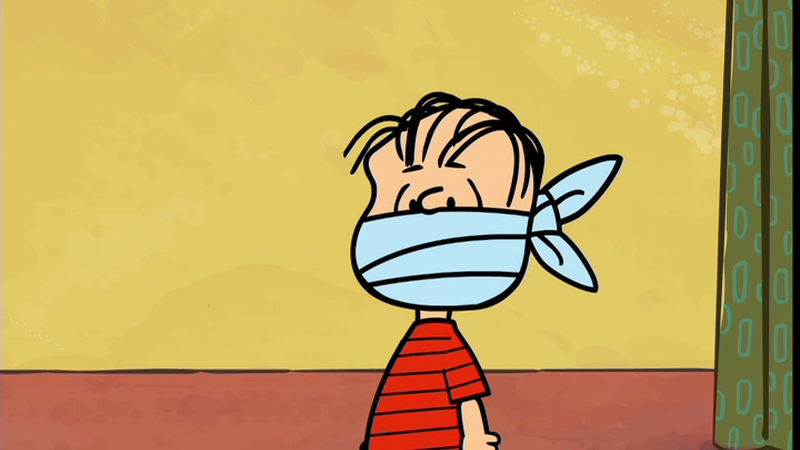 The doctor then says that he found something on another set of x-rays. Charlie tells Lucy that the doctor says he has erasero-phagia, caused by nibbling on erasers. She asks why he just can't get the mumps like other kids? 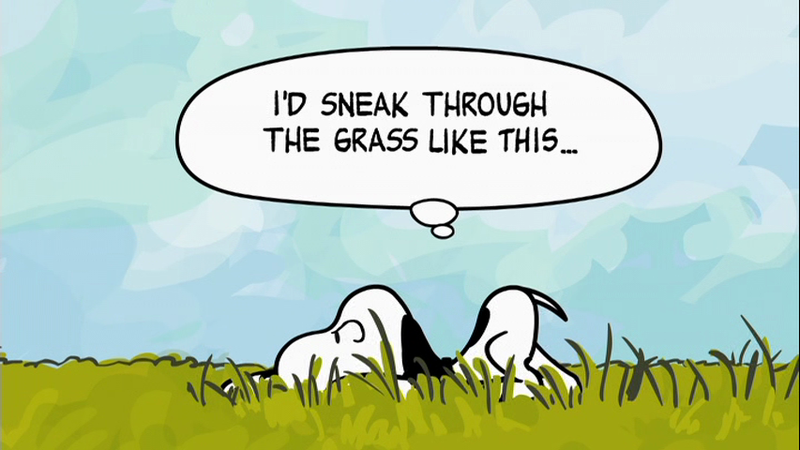 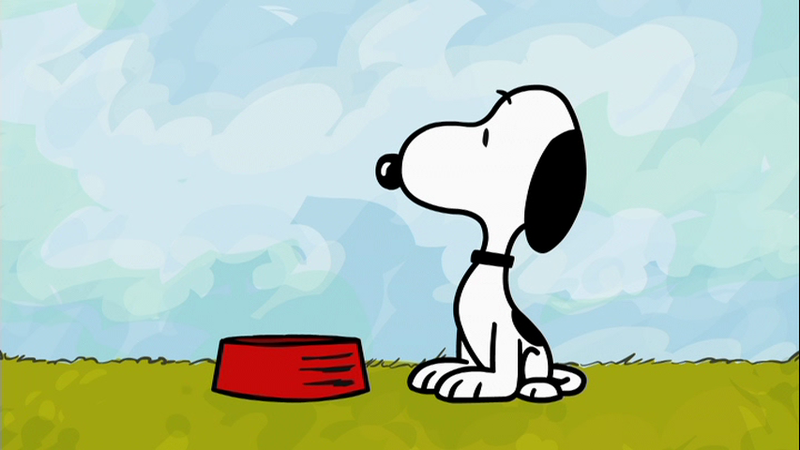 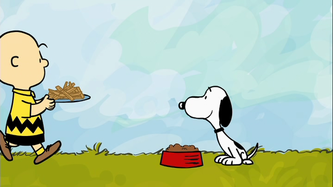 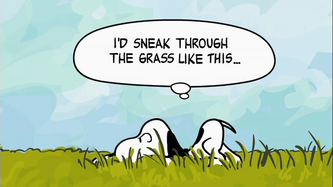 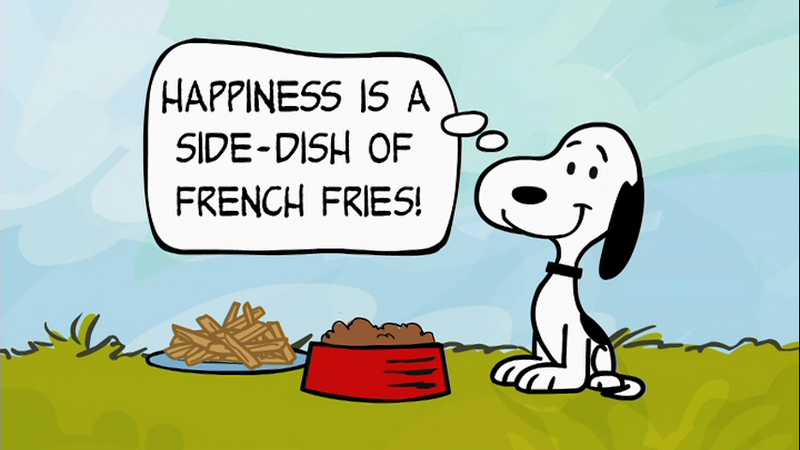 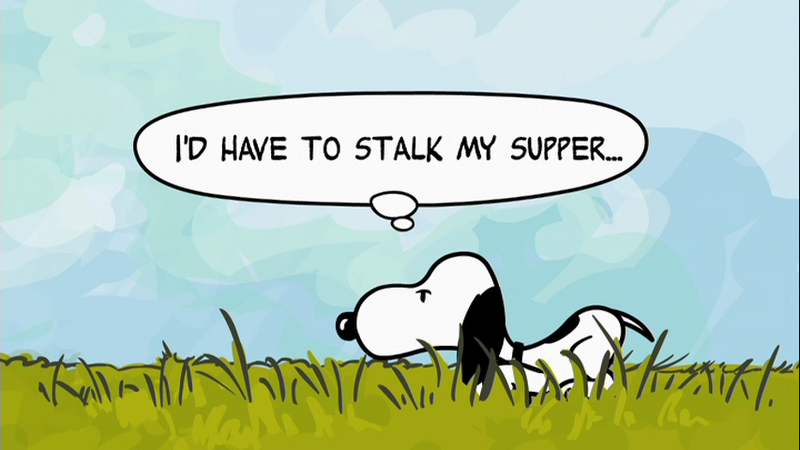 Snoopy does a segment about stalking food. 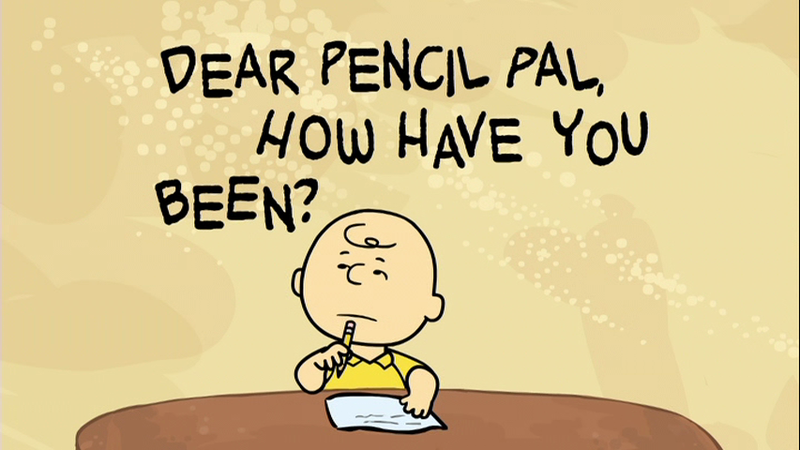 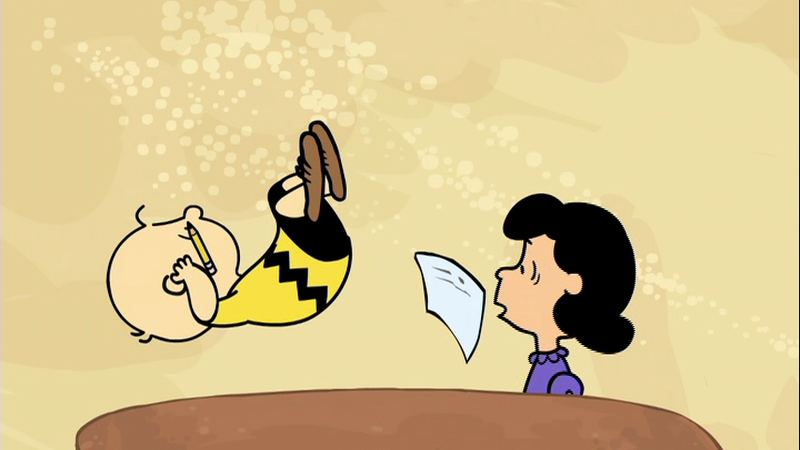 Charlie Brown asks why should he be punished for being an eraser nibbler. Linus says that whatsoever a man soweth, that he shall also reap. 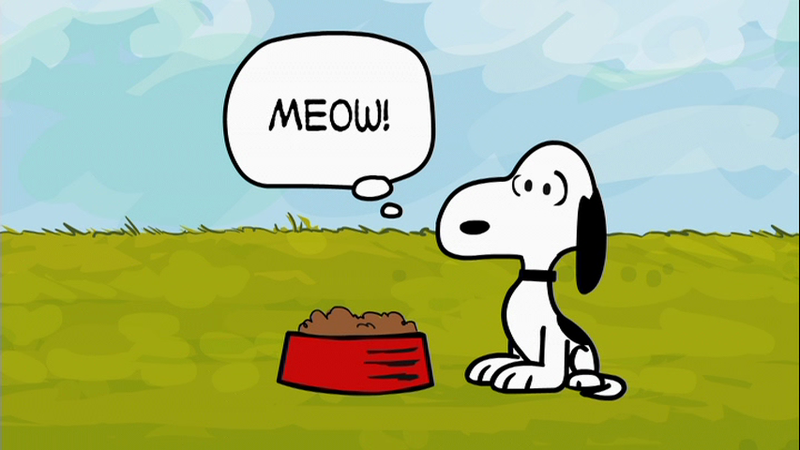 It means that actions now could cause problems later. 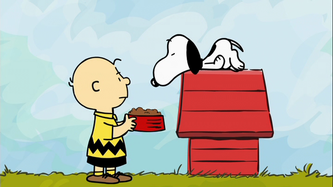 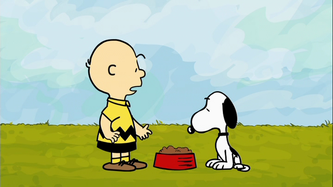 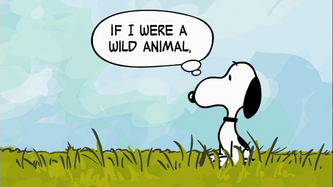 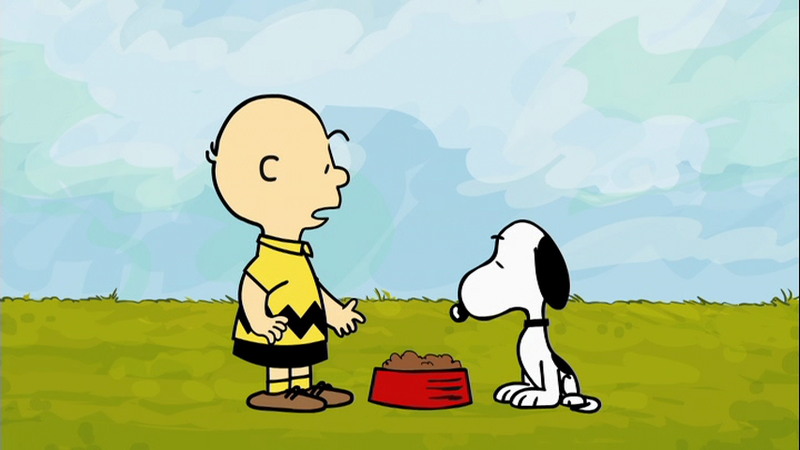 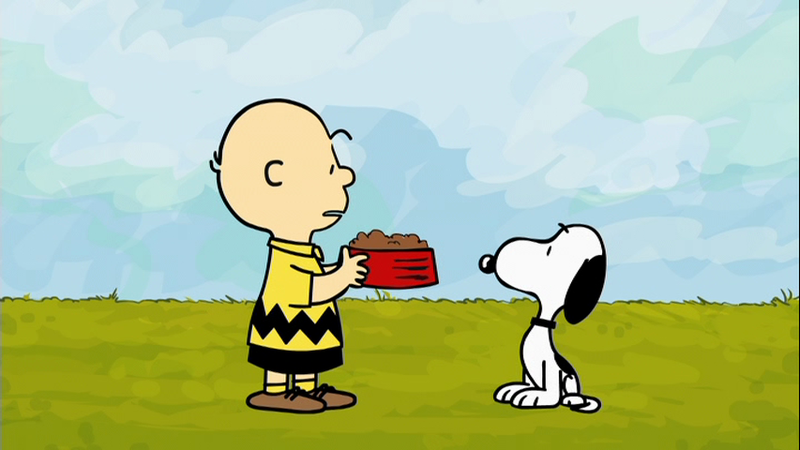 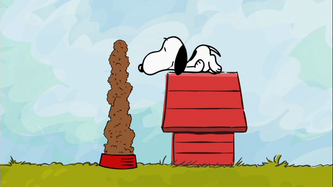 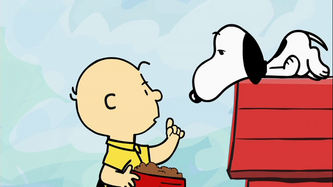 Charlie tells Snoopy that they are all out of dog food, so he had to bring him cat food. 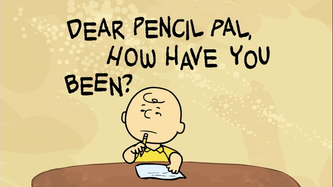 He writes a letter to a pen pal, and Lucy yells at him not to chew on his eraser. 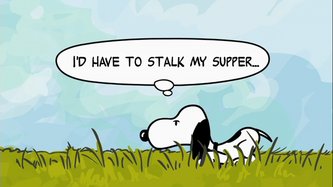 The next day, he wonders how he can sure himself of the habit. Lucy tells him to use a pencil without an eraser. When he asks how she can do that, she asks if he is insinuating that she makes mistakes. 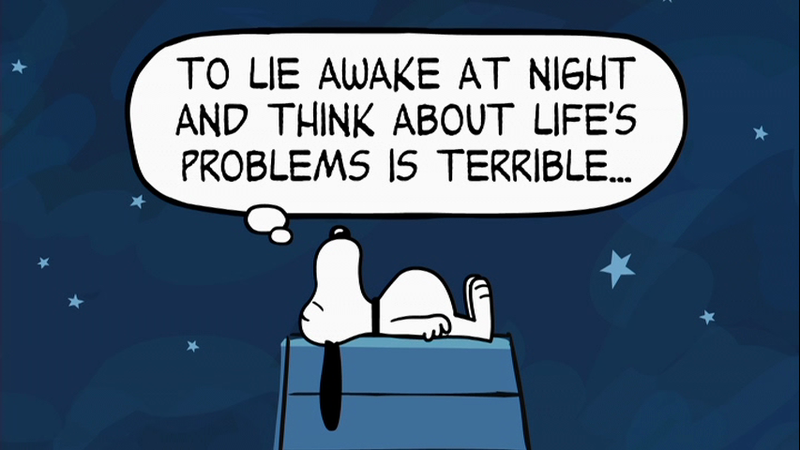 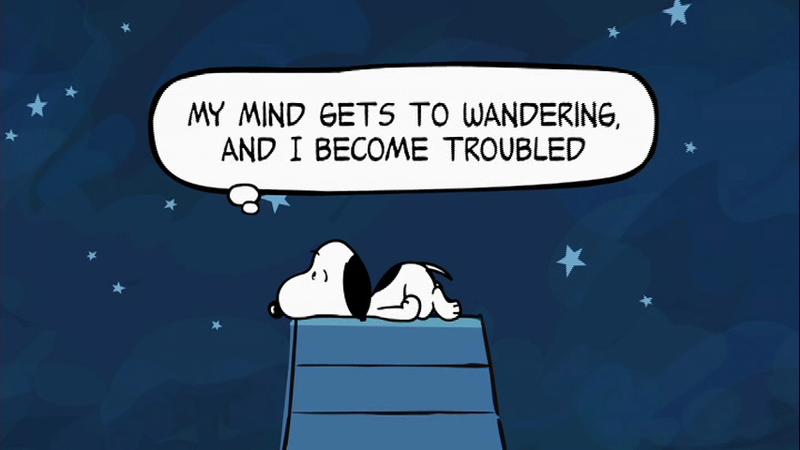 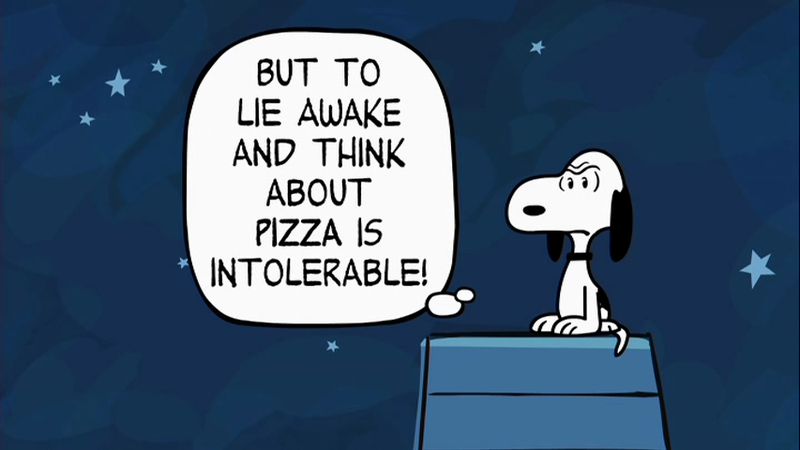 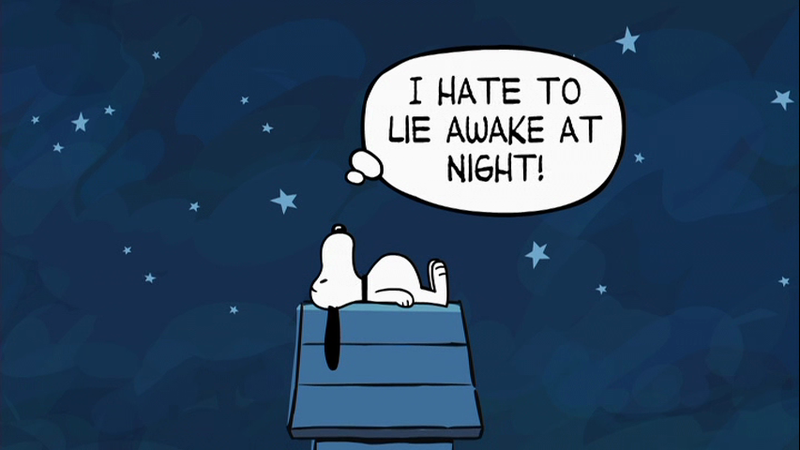 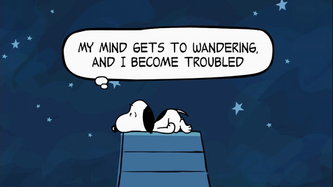 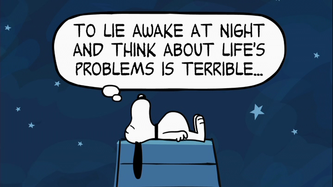 Snoopy thinks about pizza at night. 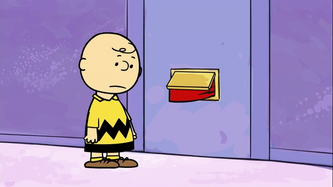 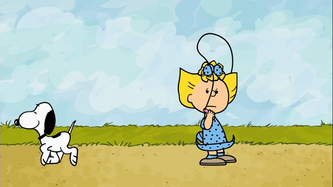 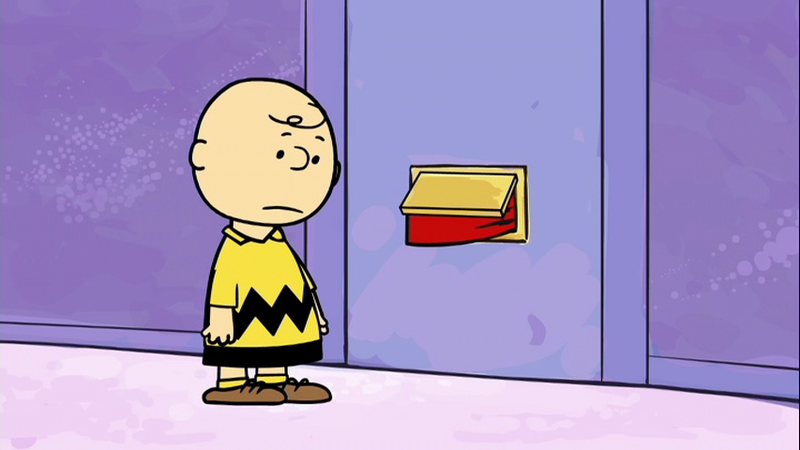 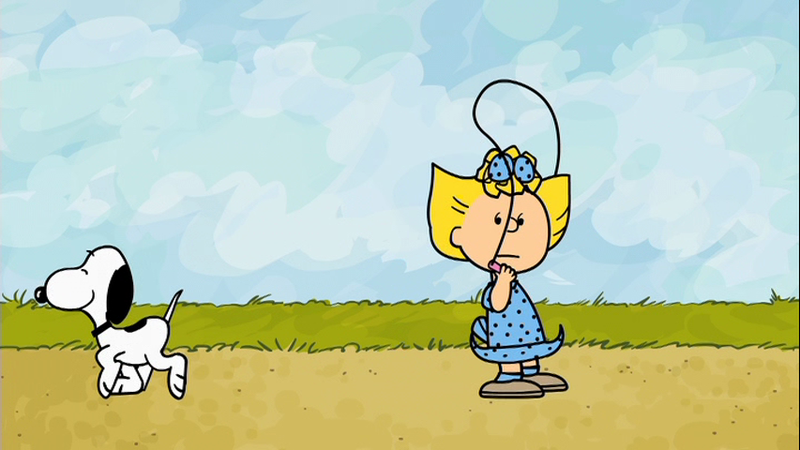 Lucy tells Frieda that Charlie Brown does not have an ordinary stomach, but instead, he has one that is filled with erasers. He yells at them to get out of here.